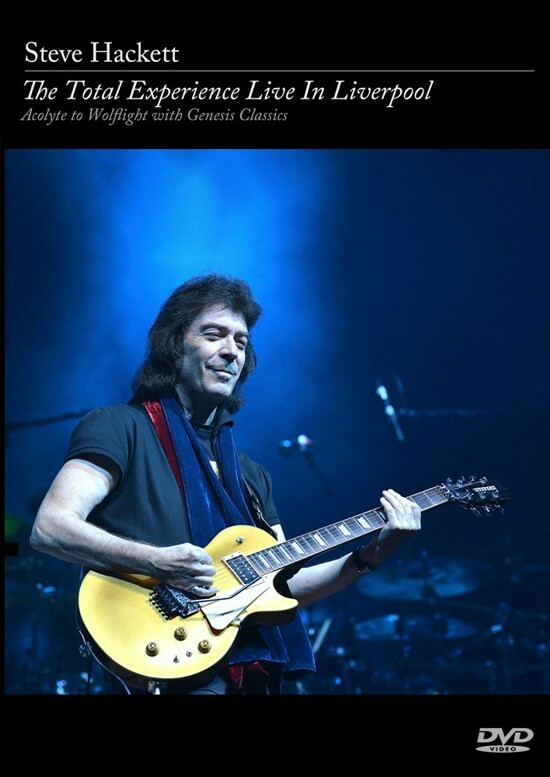 Steve Hackett has been highly prolific over the past seven years; three excellent studio albums, a second 'Genesis Revisited' album and three live DVDs (all recorded in London). Hence Hackett decided that his latest tour promoting the wonderful 'Wolflight' release and Genesis Revisited (again) would be filmed outside the capital. Hackett enthused, "Liverpool is an extraordinary city and the Philharmonic Hall is an extraordinary venue. Besides it's not as if there's ever been a good band from Liverpool, ha!" I was lucky enough to see four shows during last autumn's tour including the Liverpool one. So what do we get on this 2DVD/2CD package? It is a multi-camera shoot, the picture looks great and is superbly edited; the sound is fabulous and we are promised that very little tinkering went on. The two-and-a-half-hour show was split into two halves; the first half was Hackett's solo outings and the second half devoted to some lesser known Genesis songs, most of which were not played on the previous Revisited tours. I recollect feeling enthralled watching the shows last autumn and that experience is repeated watching the DVD. 'Spectral Mornings' is a great way to open the show and from the off the you can tell the band are enjoying themselves. Next up are a couple of new tracks from 'Wolflight': 'Out Of The Body' and the atmospheric title track. Amanda Lehmann enters the fray for my all-time favourite 'Every Day' adding vocals and some nifty guitar work too. She also adds some great backing vocals to the atmospheric 'Love Song To A Vampire' and the very catchy 'The Wheel's Turning'. Things slow down for the acoustic 'Loving Sea' with great harmonies from drummer Gary O'Toole who comes down the front for this track, and Rob Townsend plays some lovely woodwind. Hackett's brother John makes a guest appearance playing flute on an acoustic version of the wonderful 'Jacuzzi' and the crowd lap it up with a standing ovation. 'Get 'Em Out By Friday' opens the second half of the show and Sylvan is doing his best Peter Gabriel impersonations. There's also an appearance of the very rarely played 'Can-Utility And The Coastliners' by which time Roine Stolt has switched from his Rickenbacker bass to rhythm guitar. 'The Cinema Show' features a brilliant Roger King keyboard solo (close your eyes and you'd think it was Tony Banks). There are several more rarely played classics and then we're into the encores which the crowd lap up: 'Clocks' and 'Firth Of Fifth' with "that guitar solo". A bonus disc featuring a couple of documentaries and video singles wraps up an excellent package and memento of a truly fabulous evening.